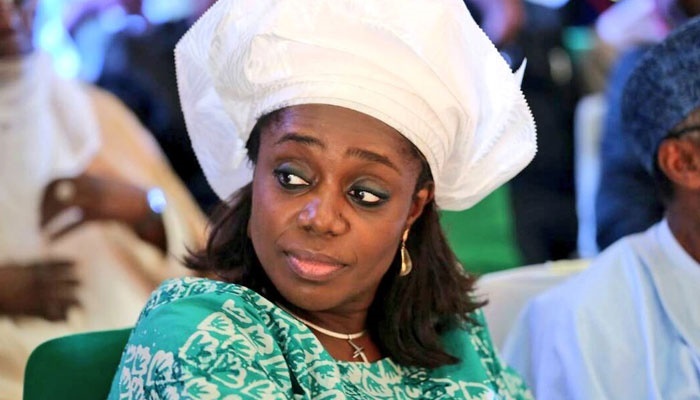 The Minister of Finance sent in her letter of resignation to President Muhammadu Buhari on Friday, September, 15, citing the 'certificate forgery' issue as her reason of withdrawing her service. On Friday, the Minister Finance, Mrs Kemi Adeosun, resigned. Her resignation came amidst issues around her National Youth Service Corps' certificate which was said to be fake and subsequent court case on the issue. She says her resignation was in line with the findings of investigation into the certificate forgery scandal. Here is the full text of her letter to President Muhammadu Buhari. Also Read: Did Someone Shut Down Daily Trust Website? Your Excellency, It has been an exceptional privilege to have served our nation under your leadership and to have played a role in steering our economy at a very challenging time. I am proud that Nigeria has brought discipline into its finances, has identified and is pursuing a path to long term sustainable growth that will unlock the potential in this great economy. Under your leadership, Nigeria was able to exit recession and has now started to lay the foundations for lasting growth and wealth creation. I thank His Excellency, the Vice President and my colleagues in the Federal Executive Council for the huge pleasure and honour of working with them. I also thank most specially, the team in the ‘Finance Family’ of advisers and heads of agencies under the Ministry of Finance. Your Excellency, this group of committed Nigerians represent a range of backgrounds, ethnicities and ages. They have worked well above and beyond the call of duty to support me in the tasks assigned. The diversity in my team and their ability to work cohesively to deliver reforms, convinces me that Nigeria has the human capital required to succeed. Your Excellency, let me conclude by commending your patience and support, during the long search for the truth in this matter. I thank you again for giving me the honour of serving under your leadership, it is a rare privilege, which I do not take for granted. As a Nigerian and committed progressive, I appreciate you for your dogged commitment to improving this nation.